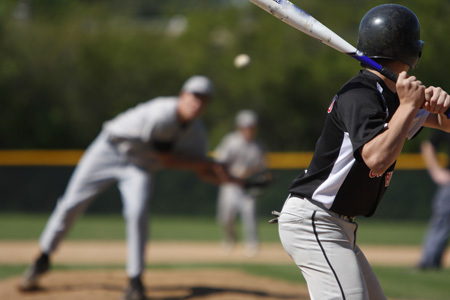 What are Causes of Youth Sport-Related Injuries? Sport-related injuries have drastically increased in recent years due to several factors, but largely caused by the rise in competitive youth sports. According to the American Academy of Pediatrics, roughly 3.5 million kids under the age of 15 will receive medical treatment for sport related injuries. What are Symptoms of Youth Sport-Related Injuries? Symptoms of youth sport-related injuries vary drastically depending on the demands of each specific sport. Below are a few guidelines that may help you in identifying if your young athlete needs some form pre-habilitation or rehabilitation program. At ICT Muscle & Joint Clinic, we focus on treating the symptoms and root cause of your pain. The body is a dynamic, mobile structure and must be assessed and treated as such to create successful long-term outcomes. We employ the best scientific, evidence-based, treatment procedures by a combination of chiropractic, soft tissue therapy, and rehabilitative exercises. Surrounding all joints, there must be a balance between tension and compression of the ligaments, muscles, tendons, and fascia. When pain is present, it is due to an imbalance of these structures requiring mobilization and release of tight structures, in addition to strengthening weak or inhibited structures of the painful joint(s) as well as the joint(s) above and the joint(s) below. Youth injuries are often easily corrected when the proper treatment approach is taken. Our doctors focus on several rehabilitation strategies that are focused and geared toward a youth athlete’s performance and recovery!